The Philadelphia Fusion academy team had won 30 games in a row spanning over 12 months. 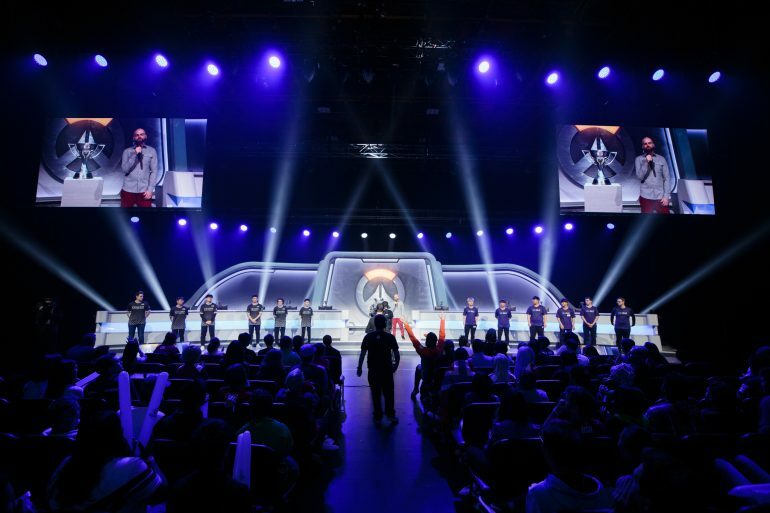 Fusion University, the academy team for the Philadelphia Fusion, has been at the top of Overwatch Contenders North America for the last year. They had won every single match they’ve played in Contenders, including taking home three titles. For the first time in the organisation’s history, however, they lost. In the final week of Overwatch Contenders North America East, Fusion Uni came up against a strong Mayhem Academy team. After seasons of mediocrity, the Mayhem Academy has risen up the ranks to be in the top two heading into their final match against Fusion Uni. After taking Lijiang Tower—Fusion Uni’s first Control map loss—Mayhem Academy rolled through Eichenwalde to go two maps up heading into halftime. While Fusion Uni are known for managing to drag a series to map five and win miraculously, Mayhem Academy extinguished any chance of a comeback, taking Hanamura 6-4. Fusion Uni were able to take Rialto as a consolation prize after a full hold, but Mayhem Academy still took the series 3-1, breaking the 30-game win streak. The community has reacted with shock to Fusion University finally falling. It makes sense, too, since after all, 30 games without losing is a long time. With this result, Fusion University drop down to second seed heading into the playoffs, with the possibility of falling to third depending on if Second Wind beat eighth-placed Montreal Rebellion. The bigger takeaway from this, though, is that Fusion University does actually bleed, and that the streak is over. Overwatch Contenders North America East playoffs start in May.